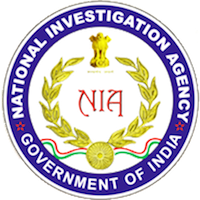 Online Application Details for National Investigation Agency NIA Recruitment of 3 Senior System Analyst and 3 Network Administrator is given below. Application form and duly attested documents are to be sent to Dy Inspector General (Adm), NIA Head quaters, 7th Floor, NDCC-II Building, Jai Singh Road, New Delhi-110001. In envelope super scribed with 'Application for the Post of Post Name'.